Research and scholarly communication is increasingly seen in the light of open science, making research processes and results more accessible and collaborative. This brings with it the chance to better connect research and society by introducing new avenues for engagement with citizens. This book presents the proceedings of the 19th International Conference on Electronic Publishing (Elpub), held in Valetta, Malta, in September 2015. This year’s conference explores the interplay of two dimensions of electronic publishing – the ever growing volume of digital collections and the improved understanding of the widest user group, citizens. This exciting theme encompasses human, cultural, economic, social, technological, legal, policy-related, commercial, and other relevant aspects. 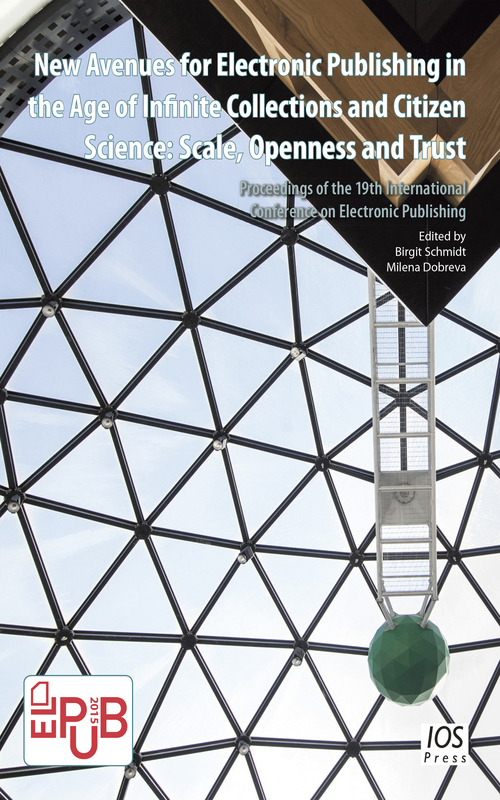 Echoing the conference agenda, the book covers a wide range of topics, including engagement with citizens and professionals, enhanced publishing and new paradigms, discovery and digital libraries, open access and open science, as well as the use and reuse of data. Addressing the most recent developments in these areas, the book will be of interest to practitioners, researchers and students in information science, as well as users of electronic publishing.